When Firefox 1.0 was released in 2004 it changed everything on the web: finally a real competitor was launched that could challenge the dominance of Microsoft’s Internet Explorer. I was one of the people that switched and said ‘goodbye’ to the era of tabless browsing, lack of standards and as many security holes as a swiss cheese that defined Internet Explorer 6.0. However, after six years the time has come to say the old trusty fox goodbye because i’ve switched again. Google Chrome is now my primary browser. Here are ten reasons why. Speed is the #1 reason i’ve switched from Firefox to Chrome. Compared to Chrome, Firefox feels like an old rusty machine that needs to get up to speed before opening a new tab or browser window. Some of this might just be an illusion because of the nifty animations in Chrome, but i don’t really care. 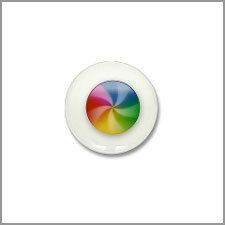 Chrome simply feels extremely fast and browses lika a breeze. 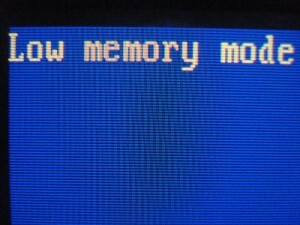 Firefox is infamous for its hunger for memory. Especially when having lots of tabs open my RAM seems to blow through the ceiling and other applications start to slow down too. 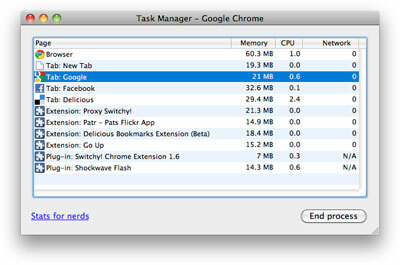 Chrome also seems to take a fair bit of memory and CPU, but the system never gets sluggish. This is a big one. Remember when you opened that YouTube movie in Firefox and the Flash plugin suddenly crashed and took all of your tabs with it? Not so in Chrome. Every tab is in a different process thread, so when one of your tab crashes you can simply say ‘quit’ just like you can ‘force quit’ an application. Also, things like periodic 100% CPU spikes that i had in Firefox are a thing of the past. In the month that i’ve been using Chrome now it hasn’t crashed on me once, and this is considering Chrome (on the Mac at least) is still beta software! 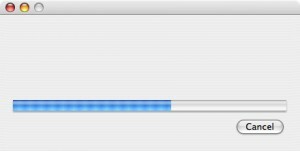 A small but interesting feature: Chrome displays a progress indicator when uploading files on websites, even if they don’t provide a progress bar themselves. You can spot it in the status bar whenever uploading big files. Chrome merges the location bar and the search box on the right of the browser window. It makes total sense: with people typing in URL’s in the Google search box and search terms in the location bar, why would you want two different input boxes? The bar also includes a nice way to search many websites: just hit the tab key after entering the first few characters of a website. Because every tab runs in a separate thread it makes sense to provide something akin to the task manager you already have for your applications. Chrome provides that under the View –> Developer –> Task Manager entry. An easy way to kill frozen tabs or to view which tabs take up the most CPU and memory. Remember when you installed a few add-ons from the Firefox addon site and you then needed to restart your browser? Because you had so many tabs open it took ages and you probably could have learned how to play the guitar in the meantime. No more with Chrome: every plugin simply installs without a restart. Firefox had something like auto-fill. But for some reason i never quite liked it. Chrome also has this, and enables it by default. It seems to be pretty intelligent, and pops-up exactly the right words on the right fields. Chrome tends to get some criticism on this, especially from system administrators, but i think it’s wonderful. You never need to deal with all these ‘Install this update’ messages, ever, again. This works both for the browser, as well as all the plugins. Wondering if you’re running the latest version of something? No need to check, you already are. No Firebug. Firebug is an essential tool for web developers like me, and although there is a light version of Firebug and Chrome’s own developer tools, it simply doesn’t offer all of the features that Firebug for Firefox has. The addon system feels like it’s in its infancy. Apparently they are easier to write, so this might get better pretty quickly, but many addons feel clunky and badly coded. Google’s own plugin repository isn’t as nice as Mozilla’s too. 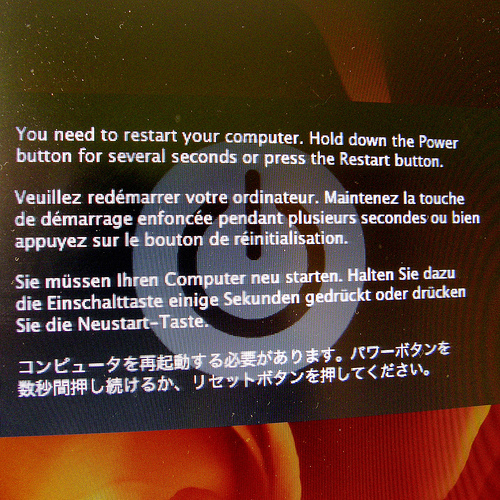 Some websites still tend to crash Chrome / Mac. This seems to occur especially with Flash sites and the WordPress administration panel. Pressing Cmd-Q / Alt-F4 closes the complete browser, without warning you about closing all tabs. This is something that Firefox does ask. No ‘text only’ bookmark bar. This saves a lot of space on Firefox and still allows for lots of bookmarks in your bookmark bar. Unfortunately, Chrome only allows a combination of favicons and text. So, i’ve had my say. What do you think? 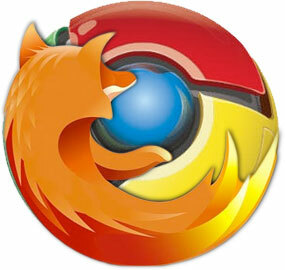 Are you still using Firefox? Or are you a switcher too? Ik ben ook onlangs van Firefox overgestapt, maar naar Safari i.p.v. Chrome. Add-ons heb ik nooit veel om gegeven, Safari voelt ook sneller en op een Mac ook stabieler dan Chrome. Webkit FTW in ieder geval. Ik gebruik Chrome nu het meest, meer uit gewoonte. Ik zie niet een reden om Chrome beter te vinden dan FF. Mijn grootste commentaar op Chrome is dat ik last heb van een bug die niemand op kan lossen: als ik rechts-klik op een plaatje, doe save-as, dan hangen AL mijn Chrome browser-windows en ben ik ze allemaal kwijt. En Chrome adverteert er mee dat dat niet meer kan. Die search-bar heb je niet nodig, je type ?zoektekst in je addressbar en je bent klaar. Die uploadbar heb ik nog nooit gezien, want uploaden geeft hetzelfde effect als downloaden: alle browsers hangen, dus ik moet voor ik wil uploaden eerst een andere browser (IE/FF) opstarten, naar die website, dat kost hopeloos veel tijd. Ik vind de autofill van FF way better, je vind met FF 10x zoveel als met Chrome.